4 Bedroom Detached House For Sale in Sheffield for Guide Price £410,000. 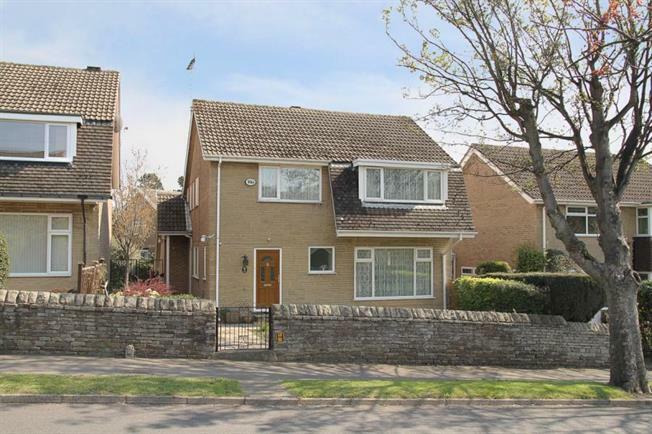 A superb 4 bedroom detached family house, which has been lovingly maintained throughout. Located in one of the most desirable areas in Sheffield, close to local amenities at Silverhill & the many shops, restaurants & cafes on Ecclesall Road. The property is available with immediate vacant possession and has gas central heating, double glazed windows and a double integral garage. The accommodation comprises in brief: large entrance hall with cloakroom housing WC and shower unit, a bright through lounge/dining room benefiting from large dual aspect windows and electric fire & surround. Family friendly breakfast kitchen with a range of wall & base units. A space for a cooker, fridge freezer, & plumbing for a washer & dryer, there are 2 large storage cupboards also within the kitchen. The side door from the kitchen leads onto a path to both the front & back garden. First floor landing: two double bedrooms to the front of the property & one at the rear with fitted wardrobes, a further bedroom to the rear which is a single. A fully tiled bathroom comprising of stand alone shower, bath, hand wash basin, bidet & a separate toilet. Outside: Delightful front garden, with borders, shrubs & lawn which wrap around the side of the property to a well maintained garden to the rear. The rear of the property has a double integral garage which houses the boiler. Location: Catchment area for Dobcroft Infant and Junior Schools, Mylnhurst School and High Storrs and Silverdale Secondary Schools. The property enjoys excellent local facilities available through Ecclesall, Millhouses and Banner Cross.